• Our temporary fence panels offer excellent return on investment for fencing rentals, construction and event control applications. Snag-free design reduces damages to the panels, heavy duty welds for longer life. • Our panes are constructed with rugged, heavy duty welded 1-3/8” & 1-5/8” 16 gauge frame and center uprights, each panel section is laced with 11.5 gauge galvanized wires, so the chain link fabric is completely surround by the frame, virtually eliminating snags and reducing damages to the panels. 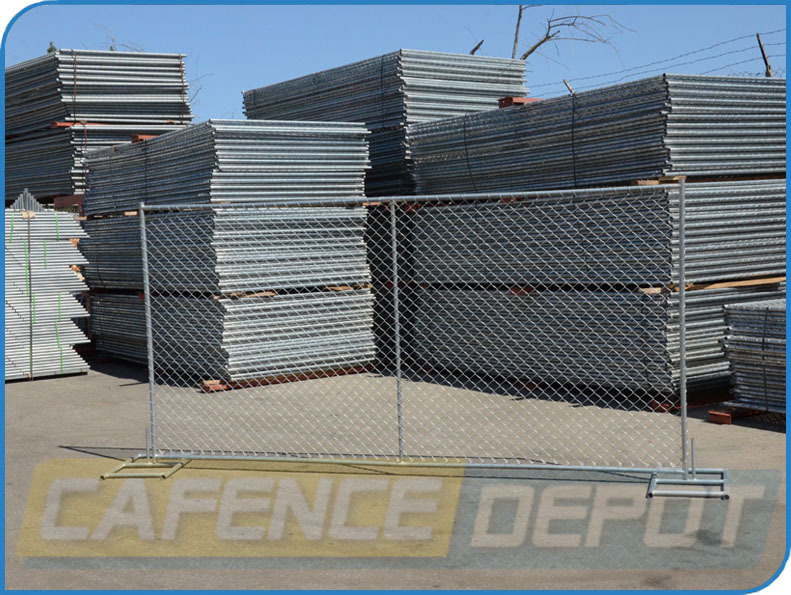 • This fencing product is available in 6’ high by 10’, 12’,14’ lengths and 8’ high by 10'lengths.We have pricing for individual panels, or save big on ordering master quantities.